Document Management software assist in handling and organizing documents. Such software makes it possible to deal with thousands of software simultaneously without losing track of data and substantial information. People look for Document Management Software (DMS) to enhance file security, improve regulatory compliance, easier and quicker access to files, document backup and retrieve documents and never worry about documents and the information contained in them getting misplaced. These software replace human effort and maximize productivity. In this article we shall learn about 10 free Document Management software for Window and Mac. And PDFelement Pro is the best PC document management software available to users to manage and organize PDF documents. SutiDMS is an online document management software solution that helps you to organize, manage, share, and communicate your business critical information. This online document management comes with integrated modules that let you with team collaboration, workflow management, and approvals. You can work online anywhere, anytime with SutiDMS. It provides unlimited tasks management and unlimited subtasks management. It allows employees to clock in, clock out or take a break, while keeping detailed records of each employee’s work time. It has been integrated with SutiSign eSignature solution to simplify the approval process. 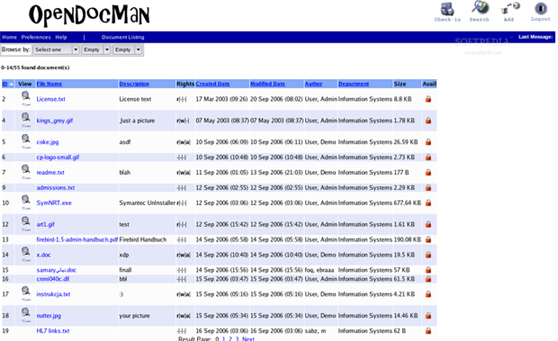 OpenDocMan is an open source DMS designed to centrally store and access documents. It has an easy to use interface which is very intuitive and attracts users. It has a Web-based deployment and compatible with Windows and Mac. You may also use it as an App on iOS, Android, Windows or Blackberry devices. 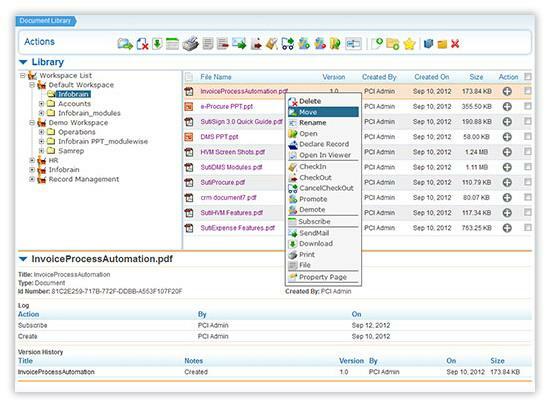 The document management software can be free downloaded full version. Enables Application sharing and Application security. Workflow and e-mail management is also possible with OpenDocMan. LogicalDOC is an open source document management software and a cross platform Document Management Solution. It has cloud based storage which allows you to access you documents anywhere, anytime. It works towards saving your enterprise’s time and enhance its efficiency and productivity. It open source edition makes it possible for users to avail its services free of cost. Its intuitive interface does not require any training to use it. It automatically imports all business documents and stores them centrally. Its central repository keeps all files safe and secure at one place. OpenKM Document Management Software is developed to manage and organize all your digital Files and documents to simplify your day-to-day work and improve your efficiency. It is an Enterprise Content Management software to store, track, edit and mange e-documents. It enables Metadata capture and classifies documents easily. Reduces operational time by automated workflow execution. Improves the quality of documents and keeps them secure. Ensure high degree of accuracy during document searches. Bitrix24 is an easy and free online document management software which has a web and cloud deployment, both. It also gives users the flexibility to work on Android and iOS devices through it mobile App. Classifies private and shared documents. Easily collaborates documents of the same type. It keeps the old and deleted Files in its record too along with the new and updated versions. Document Lock is its key feature. M-Files makes document management an easy task by storing all files at a centralised place. You can even connect to existing network folders and systems to make them more intelligent with built-in AI to automatically categorize and protect information. 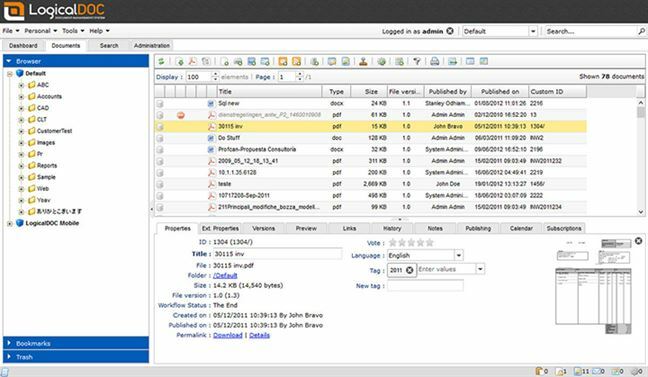 Organizes and structures content to manage documents. Automate manual workflows and allow employees to work more productively. All changes made to the documents are recorded and tracked. This online document management software offers clear and friendly user interface. OnlyOffice is a free personal document management software and the most powerful and feature rich web Office Suite. It can edit documents online and manage them with its multifunctional services to cut costs and save time. One of a kind online document editor for HTML pages. 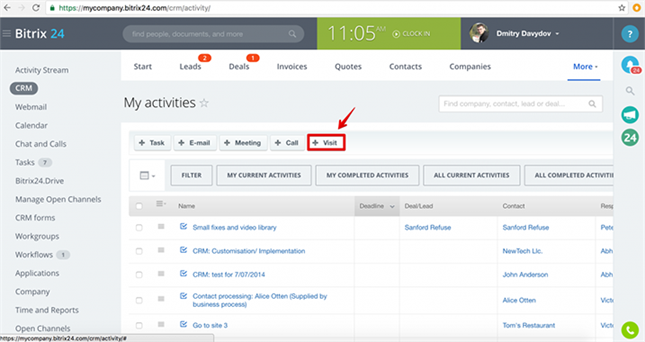 Real-time collaborations with teammates to work and manage documents together. 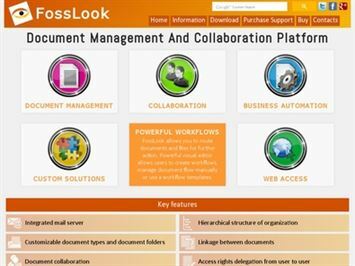 FossLook is a fully loaded and very powerful e-document management tool which organizes all your files by doing away with paper documents and storing important information in its system. Using FossLook will improve the efficiency and productive of your organizations and lead to better growth and financial results. This software can be put to use depending on the needs of the enterprise. It improves business and workflow automations. 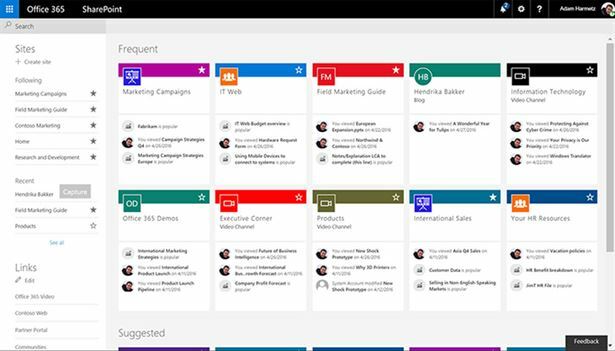 MS SharePoint Online helps in managing knowledge, content and documents quickly to enhance team work and make Document Management seem like an easy task. It includes file sharing and storage, content management and external sharing. Keeps documents and files secure by preventing hacking. Collaborations with other Microsoft software enable smooth document management. Makes users only a click away from what they have been looking for by accelerating quicker and more efficient searches. 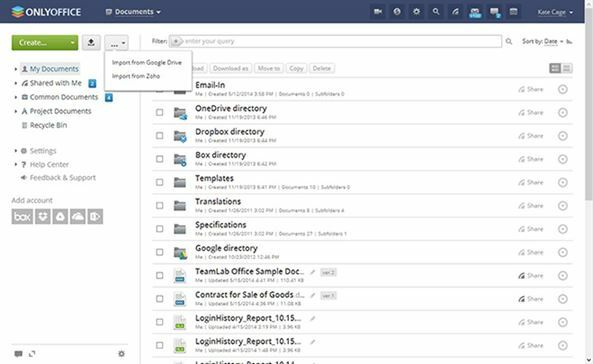 Dropbox business is another variant of Dropbox designed for business enterprises to enable them to share documents easily. 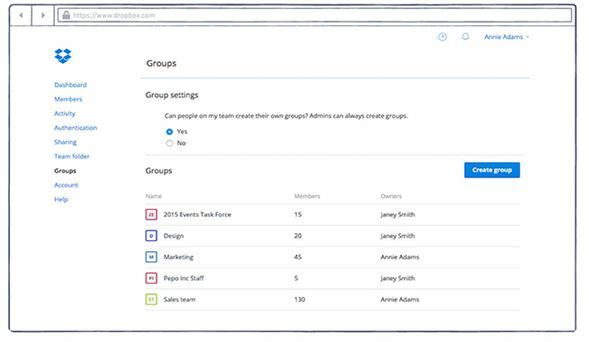 Dropbox Business is great to make coworkers, employees and teammates work together, share data instantly and work on it simultaneously. It works on Windows/Linux PC and Mac. It is also available as an App for Android, Windows and iOS devices. Allows users to tracks various activities. Equipped to remotely wipe and transfer Files. Unlimited Storage and file recovery tools. PDFelement ProPDFelement Pro is the best PC document management software available to users to manage and organize PDF documents. This software can be downloaded to your Windows PC or Mac. It can edit, convert and securely share PDF Files and also deal with scanned documents via OCR technology. This DMS to manage PDF Files if well equipped to tackle all types of PDF documents. Editing text, images or pages individually or in a batch. Highlighting, stamping, signing, crossing out, underlining, adding sticky notes, text boxes, etc. or free hand drawing on a PDF File is made possible. Converting a PDF to any other file format, combining PDFs or splitting them into different PDF. 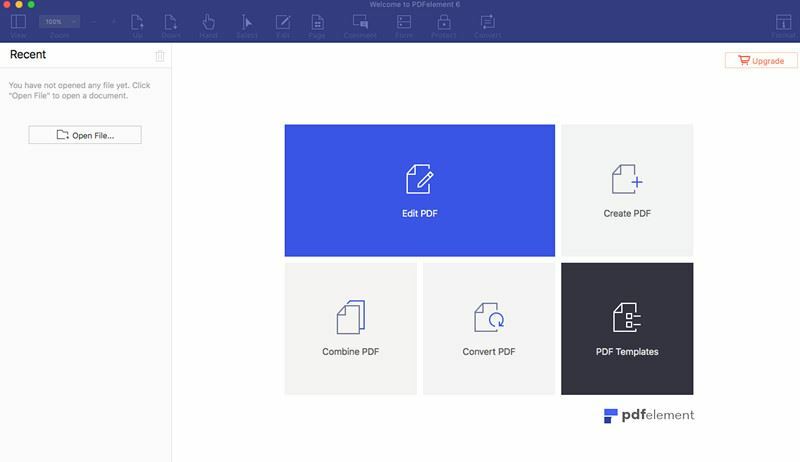 Filling an online PDF Form or creating one is an easy task with PDFelement Pro. Password protection, watermarking and securely sharing PDFs. Bookmarking, indexing, customizing and adding bates numbering helps makes PDFelement Pro the most reliable and effective DMS. Cannot Open PDF with Google Docs? Solved!